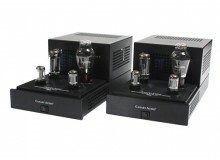 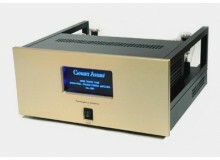 Specifications for CD-200 Frequency Response:>>>>>>>>>>>>>>>>>>>> +/- 1 dB from 20Hz to 20KHz Distortion: < 0.005% Signal-to-Noise Ratio: > 118dB Daynam..
CD-300 Vacuum Tube Compact Disc Player Canary is proud to present the CD-300, a complete new redesign of our highly regarded CD-200 vacuum tube CD player. 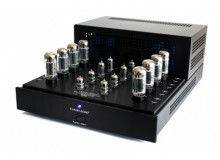 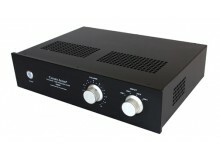 Even if the external look is the same, the CD-300 has many internal modificat..
KD-2000 Tube DSD DAC The KD-2000 Tube DSD D/A converter is specially designed for those who like to play their music digitally without sacrificing sound quality. 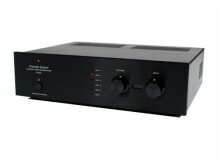 Utilizing the very finest technologies and uncompromising design, the KD-2000 is capable i..
獨立分體電源供電, 杜絕電源干擾 兩级增益控制, 方便匹配各式唱頭 精確RIAA均衡線路, 確保訊號高度還原 極低噪音及高動態, 其他同類器材無法比擬 真空管: 4 x 12AX7 - 放大 1 x EF86, 1 x 12BH7 - 電源 輸入端子: MM - 1 x RCA, MC - 1 x RCA 輸出端子: 2 x RCA 尺寸: 28(..
獨立分體電源供電, 杜絕電源干擾 MC輸入阻抗可選擇 100Ω, 150Ω, 200Ω, 300Ω, 400Ω, 600Ω, 方便匹配各式唱頭 精確RIAA均衡線路, 確保訊號高度還原 極低噪音及高動態, 其他同類器材無法比擬 真空管: 4 x 12AX7 - 放大 1 x 5Y3, 1 x 6V6, 1 x 6SL7 - 電源 輸入端子: MM - 1 x RCA, ..
CA-200 Passive Preamplifier(Discontinued) The CA-200 passive preamp can be used as a substitute of complex active preamplifier in many systems, and can serve as complete preamp solutions for audiophile purists. 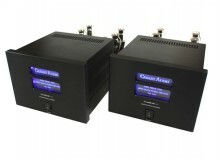 It is an easy and inexpensive way to reach high-end sound quality. 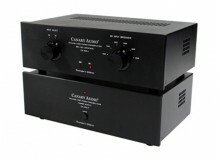 The CA-200 is co..
機身只有6.5cm厚, 擺放容易, 入鬥首選 採用特厚軍用級TEFLON底板及銀TELFON訊號接線 真空管: 2 x 6922, 1 x 6CG7 頻率響應: 10 - 64,000Hz +/-1dB 最高增益: 13.5dB T.H.D.失真率: < 0.06% 訊噪比: -80dB 輸入阻抗: 50KΩ - 95KΩ 輸出阻抗: 650Ω 輸入端子: 4 x RCA 輸出端子: 2 x RCA 尺寸: 47(W) x 33(D) x 6.5(..
旗艦CA-903濃縮版, 高要求而空間小用家不二之選 單體機箱內置直空管整流及穩壓, 同級產品中绝無僅有 左右獨立端士 ELMA 24級純金接點音量控制, 減低干擾及失真 特厚軍用級TEFLON底板及重料機箱, 杜絕不良諧震 全機採用軍用級Hovland MusiCaps交連電容及銀TELFON接線 真空管: 1 x 12AU7, 2 x 12AX7 - 放大 1 x 5Y3, 1 x ..
精準真空管穩壓線路, 確保電源纯靜穩定 放大部分使用Hovland MusiCaps交連電容, 音色特佳 採用特厚軍用級TEFLON底板及銀TELFON訊號接線 真空管: 2 x 6922, 1 x 6CG7 - 放大 1 x EF86, 1 x 12BH7 - 電源 頻率響應: 10 - 76,500Hz +/-3dB 最高增益: 9dB T.H.D.失真率: < 0.0..
兩機體設計將放大及電源部分完全分隔, 杜絕亙相干擾 精準直空管穩壓線路, 確保電源純靜穩定 放大部分使用 Hovland MusiCaps 交連電容, 音色特佳 精製端士 ELMA 24級純金接點音量控制, 失真極低 全機採用軍用級TEFLON底板及銀TELFON訊號接線 真空管: 2 x 12AU7, 2 X 12AX7 - 放大 2 x EF86, 2 x 12BH7 - 電源 ..
四機體設計 將左右聲道放大及電源部分完全分隔, 絕無亙相干擾 精準直空管整流及穩壓線路, 全面發揮真空管極致音色 嚴格挑選各級元件, 盡情表現線路設計神髓 精製端士 ELMA 24級純金接點音量控制, 失真極低 全機採用軍用級TEFLON底板及銀TELFON訊號接線 真空管(每聲道): 1 x 12AU7, 1 X 12AX7 - 放大 &n..
C630 Preamplifier The C630 stereo preamplifier is a perfect example of Canary Audio¹s craftsmanship and build quality. 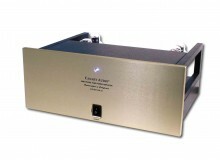 All components used are carefully chosen and hand soldered on the military grade circuit boards. 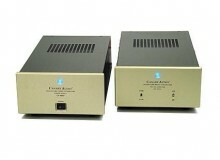 Like our other products, the C630 is engineered and built to provide a life..
精準真空管穩壓線路, 確保電源纯靜穩定 採用特厚軍用級底板, 音色特佳 120级精準音量控制 LED顯示輸入選擇 附全功能遙控 真空管: 2 x 12AU7, 3 x 12AX7, 1 x 5AR4, 2 x 6V6 輸入端子: 5 x RCA 輸出端子: 2 x RCA 尺寸: 48.3(W) x 40.6(D) x 14(H)cm 重量: 15.4kg ..
兩機體設計將放大及電源部分完全分隔, 杜絕亙相干擾 精準直空管穩壓線路, 確保電源純靜穩定 120級音量控制, 失真極低 LED顯示面板, 附全功能遙控 真空管: 4 x 6SN7 - 放大 1 x 5Y3, 2 x 6V6, 1 x 6SL7 - 電源 輸入端子: 5 x RCA 輸出端子: 2 x RCA 尺寸: 47.6(W) x 35.5(D..
C1000 Dual Mono Preamplifier Dual Mono, Four Chassis Design: The C1000 is the successor of our legendary C900 preamplifier featuring the use of twelve vacuum tubes. 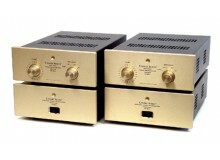 Dual mono four chassis design (left and right ch..
M608 Integrated Amplifier The Legend Continues: The award winning CA-608 was our very first integrated amplifier and since the day it launched, it soon became a big..
M320 Integrated Amp What do you get when you combine Canary's famous 300B push-pull stereo power amplifier with a low noise tube preamplifier in a single chassis? 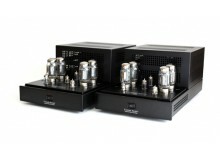 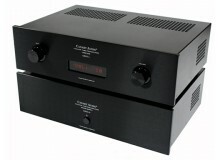 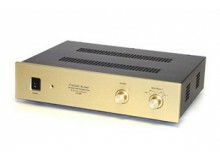 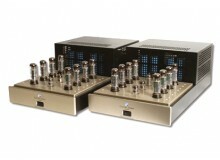 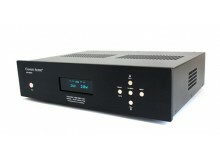 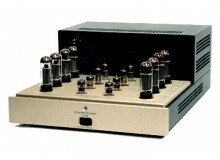 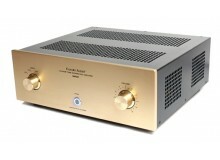 The answer is Canary's first 300B integrated amplifier. 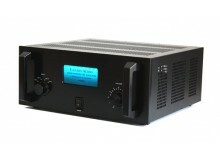 The M320 is our first 300B integrated..
40W超線牲輸出, 好聲可靠, 性價比特高 精選高級零伴, 配合專用電源及輸出變壓器, 操作穩定 採用特厚軍用級TEFLON底板及銀TELFON訊號接線 輸出功率: 立體聲 40W + 40W 真空管: 4 x KT77/EL34, 4 x 6SN7 頻率響應: 10Hz - 45,000Hz +/-3dB T.H.D.失真率: < 0.5% 訊噪比: -82dB 輸出阻抗: 4Ω , 8Ω 輸入靈敏度: 1.0V/47KΩ 輸入端子: 1 x RCA 尺寸: 47(W)..
每聲道2支300B 推挽輸出22W 精心設計輸出變壓器, 提升高低頻伸廷 主線路使用Hovland MusiCaps交連電容, 音色特佳 採用特厚軍用級TEFLON底板及銀TELFON訊號接線 輸出功率: 立體聲 22W + 22W 真空管: 4 x 300B, 1 x 12AX7, 2 x 6SN7 頻率響應: 10Hz - 55,000Hz +/-3dB T.H.D.失真率: < 0.5% 訊噪比: -82dB 輸出阻抗: 4Ω , 8Ω 輸入靈敏度: 0.3..
每聲道2支300B 推挽輸出24W 强化電源設計, 大幅改善瞬變及動態 精心設計輸出變壓器, 提升全頻表現 採用特厚軍用級TEFLON底板及銀TELFON訊號接線 强放管偏壓於機面, 調較簡易 輸出功率: 立體聲 24W + 24W 真空管: 4 x 300B, 1 x 12AX7, 2 x 6SN7 頻率響應: 10Hz - 60,000Hz +/-3dB T.H.D.失真率: < 0.5% 訊噪比: -82dB 輸出阻抗: 4Ω , 8Ω 輸入..
80W純三極推挽輸出 特大電源及輸出變壓器, 輸出從容穩定 主線路使用Hovland MusiCaps交連電容, 音色特佳 採用特厚軍用級TEFLON底板及銀TELFON訊號接線 强放管偏壓於機外簡易調較 輸出功率: 立體聲 80W + 80W 真空管: 8 x EL34/6CA7, 4 x 6922, 2 x 6CG7, 2 x 12BH7 頻率響應: 10Hz - 40,000Hz +/-1dB T.H.D.失真率: < 0.15% 訊噪比: -78dB 輸出阻抗: 4Ω , 8&..
全三極/超線牲推挽放大線路,穩定可靠 三極100W細緻動人, 超線性140W氣勢磅礴 特大電源及輸出變壓器, 輸出從容穩定 主線路使用Hovland MusiCaps交連電容, 音色特佳 採用特厚軍用級TEFLON底板及銀TELFON訊號接線 强放管偏壓於機外簡易調較 輸出功率: 單聲道三極100W 或超線性輸出140W 真空管(每聲道): 8 x EL34/6CA7, 2 x 6922, 1 x 6CG7, 1 x 12BH7 頻率響應: 10Hz - 50,000Hz ..
經典單端設計, 盡顯300B迷人音色 電源部分採用真空管整流, 音色更上一層 精心設計輸出變壓器, 全面提升高低頻質素 採用特厚軍用級TEFLON底板及銀TELFON訊號接線 輸出功率(每聲道): 8W 真空管(每聲道): 1 x 300B, 1 x 5U4G, 2 x 6SL7 頻率響應: 10Hz - 54,000Hz +/-3dB T.H.D.失真率: < 0.2% 訊噪比: -90dB 輸出阻抗: 4Ω , 8Ω 輸入靈敏度: 1.2V/100KΩ 輸入端子: 1..
CA-330MK-II Mono Blocks Power Amp New Features on MK-II: Newly designed high voltage power supply. 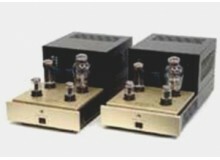 Rectifier with double choke filtering (t..
每聲道4支300B純A類推挽輸出50W, 對付大場面卓卓有餘 全新設計特大功率電源及輸出變壓器, 完全發揮300B高頻實力 傳统真空管整流供電, 音色更上一層 採用特 Delrini 鍍金300B插座及恃選零伴 强放管偏壓於機面, 調較簡易 輸出功率(每聲道): 50W 真空管(每聲道): 4 x 300B, 2 x 5U4G, 2 x 6SN7 頻率響應: 10Hz - 80,000Hz +/-1dB T.H.D.失真率: < 0.2% 訊噪比: -81dB 輸出阻抗:&..
M70 6CA7 Stereo Power Amplifier Built Around 6CA7 Tubes: We built the M70 power amplifier around four EL34 tubes in an ultra-linear circuit that could provide 40 watts of subtly textured music. 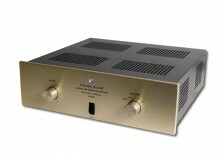 On good recordings you will hear..
M80 Mono Power Amp Single-Ended: We at Canary understand that some people are enchanted with single-ended amplifiers. 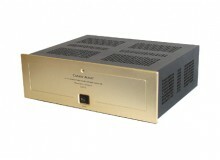 Although our push-pull amplifiers have been very well received by many audio enthusiasts, we did not want those single-ended lovers thi..
M100 Power Amp Built with 6CA7 output tubes: The M100 is the replacement model of the legendary CA-100. 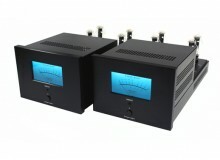 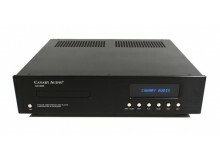 Visually, the M100 is identical to the CA-100 but with the new all black finish. 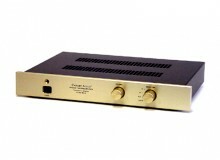 Inside the M100 is a modified circuitry to accommodate the us..
M260 Mono Power Amp The Powerful Canary: The M260 is the most powerful Canary monoblock amplifiers. 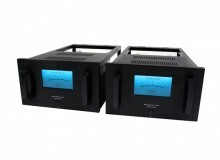 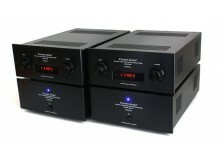 Generating power from two matched pair of KT120 vacuum tubes, the M260 is capable to deliver 250 watts of power per channel. 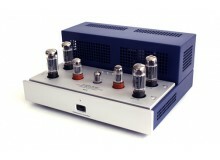 This is achieved by t..
每聲道4支300B純A類推挽輸出50W, 對付大場面卓卓有餘 全新設計特大功率電源及輸出變壓器, 完全發揮300B高頻實力 傳统真空管整流供電, 音色更上一層 採用特 Delrini 鍍金300B插座及恃選零伴 特大指針錶板顯示功率狀態 强放管偏壓於機面, 有準確LED顯示 調較簡易 輸出功率(每聲道): 50W 真空管(每聲道): 4 x 300B, 2 x 5U4G, 2 x 6SN7 頻率響應: 10Hz - 80,000Hz +/-1dB T.H.D.失真率: &..
旗艦级300B單聲道後級 每聲道8支300B純A類推挽輸出80W, 對付大場面卓卓有餘 全新設計特大功率電源及輸出變壓器, 完全發揮300B高頻實力 傳统真空管整流供電, 音色更上一層 採用特 Delrini 鍍金300B插座及恃選零伴 特大指針錶板顯示功率狀態 强放管偏壓於機面, 有準確LED顯示 調較簡易 輸出功率(每聲道): 80W 真空管(每聲道): 8 x 300B, 1 x 6SL7, 3 x 6SN7GTB 頻率響應: 8Hz - 80,000Hz ..